We use modern equipment including Microsoft Office 2003, Laser Printers [colour & black and white) and scanner. Be assured that The Office Elsewhere is proud of our efficient prompt service and attention to detail. The Office Elsewhere offers a timely transcription service. Let The Office Elsewhere help you with outsourcing, general overflow or just work that is backlogged and urgently needs to be done. 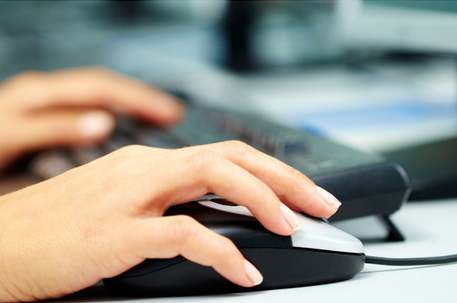 Our transcription service includes correspondence, reports, notes, interviews, etc. We consider confidentiality to be the utmost importance and understand that documents are of a highly sensitive and confidential nature. We are happy to sign confidentiality agreements prior to the commencement of work. We accept digital and tape formats. The Office Elsewhere can assist you with your data entry needs. Need to set-up a database of your customers/members. Talk to us to further discuss your requirements. Need that newsletter mailed out? The Office Elsewhere can organise to have your newsletter typed, folded, enveloped and mailed to your membership. Or maybe, you want a promotional flyer mailed to your customers. Whatever your requirements talk to The Office Elsewhere and we will utilise our skills to meet your needs.